Proud to serve as marketing co-chair with @KenneShepherd for #CREWConvention. @CREWNewYork, an amazing job hosting a record 1,500 attendees! Yesterday, one of my clients—a bridal store—contacted me about a business proposal it received. A company had developed a mobile platform to connect tech-savvy brides to wedding vendors. Part of this service includes promoting the vendors thorough the company’s hefty social media presence. The salesperson sent the store owner some stats to show what kind of publicity vendors could get through its platform. From an initial glance, the numbers were impressive—its Facebook page had 608,000 followers, more than two of the most widely known online wedding resources: WeddingWire (526,000) and The Knot (376,000). 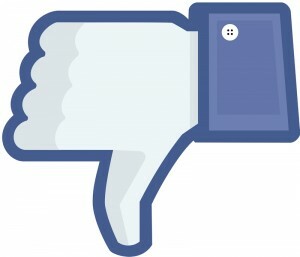 The technology company promised to promote the bridal store multiple times on Facebook and other social media services. Many of its Facebook posts gathered well over 1,000 “likes” each—what vendor wouldn’t want that kind of publicity? Skittles candy couldn’t even get that kind of traffic with its Facebook post congratulating the New England Patriots on its Super Bowl win yesterday—only 786 people had “liked” it, and the post was 12 hours old. And that’s with over 26 million followers. The technology company must be doing something right. Are You Guilty of Word Crimes? Copyright © 2019 Buzzmaestro LLC. All Rights Reserved.